Tina organized us to meet for the Worldwide Sketchcrawl. 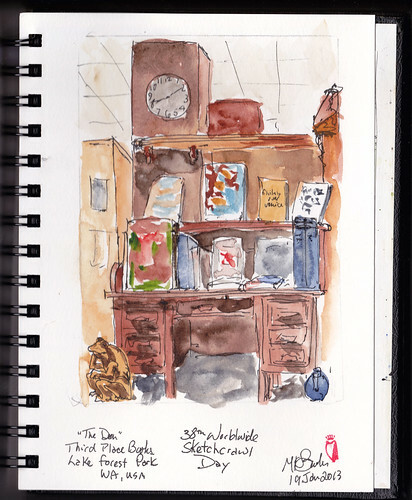 I first sketched inside Third Place Books. This is a small section called "The Den" which showcases some rare books. 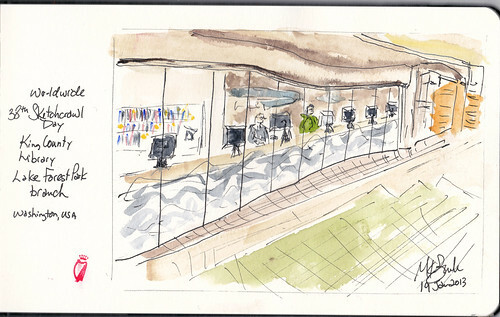 Then I went downstairs to sketch the branch of King County Library. The bank of computers look out the curved window onto the rest of the shopping center. 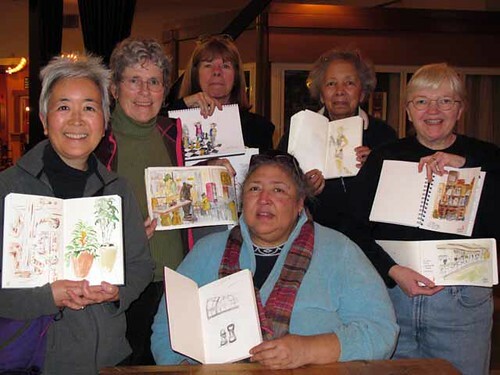 After a couple hours of sketching, we met up to share our work. Two had to leave early, so are not pictured here. It was a good day. Thanks, Tina! Onward to more sketching tomorrow!